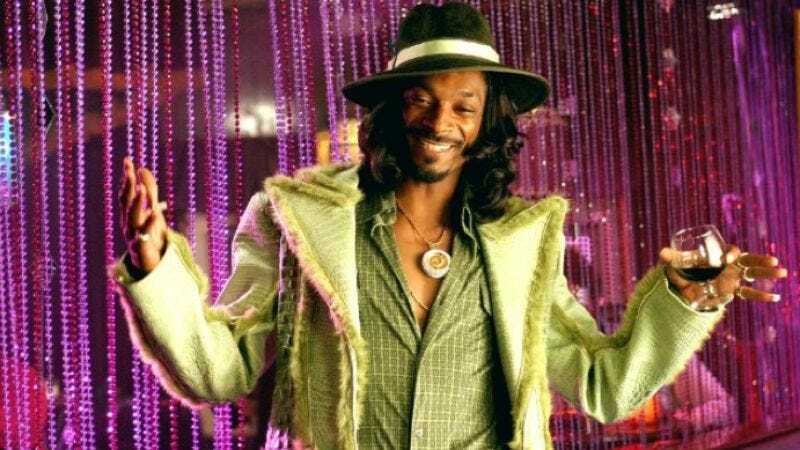 Snoop Dogg has begun making serious inroads toward establishing a second-wind career as an actor, by which we mean he told everyone he wanted to appear on his favorite British soap, Coronation Street, then he made a movie with Wiz Khalifa about weed. But now he’s stepping slightly outside his comfort zone—by which we mean he is not at all stepping outside his comfort zone with the biopic The Legend Of Fillmore Slim, based on the life and times of blues guitarist Clarence Sims, who balanced his nightly wrangling of the pentatonic scale with a side business corralling prostitutes as one of San Francisco’s most famous pimps. (Though please, let’s not derail this discussion with arguments over which of San Francisco’s pimps is the most famous. Let’s just all agree that all of San Francisco’s pimps are legendary in their own right.) Snoop Dogg will play the man also known as “The West Coast Godfather Of The Game” and “The Pope Of Pimping,” which somehow are not already the names of Snoop Dogg songs. Surely that will be rectified soon enough. Hella rectified.